“I have a thing for old tools. Not the ones with cords and plugs, mind you, but old hand tools that predate electricity. The ones guided by hand, powered by muscle, carefully honed and meticulously cared for to retain their edge and effectiveness at doing the job for which they were intended. These are elegant, tactile tools of history, character and quality – tools upon which the livelihood of their owner depended. These tools didn’t sit collecting dust on shelves in garages, used casually or occasionally and allowed to rust. These were tools of journeymen and tradesmen, carpenters, cabinet makers, shipbuilders, and carriage makers – tools that were passed down through multiple generations. Every one has a story to tell; every paint spot, dent, ding, scratch and chip reflects a different point in time and a different job completed. I spent this past week on vacation at the beautiful Outer Banks of North Carolina. The OBX is one of my favorite places on earth, and I’ve been visiting just about every year for the past 30 years. Despite its growth and development, especially over the last 20 years, there is still something raw about the Outer Banks. Mother Nature may have yielded some of her land, but the spirit of the place is still very much wild, a precarious thin line of sand at the mercy of the Atlantic Ocean. It was here, on the sandy dunes of Kitty Hawk and Kill Devil Hills back in December of 1903, that Orville and Wilbur Wright first flew a heavier-than-air craft under its own power. Sitting on a dune deck overlooking the Atlantic just a few miles from Kitty Hawk this week, I got to thinking about just what kind of tools the Wright brothers might have used when building the Wright Flyer. 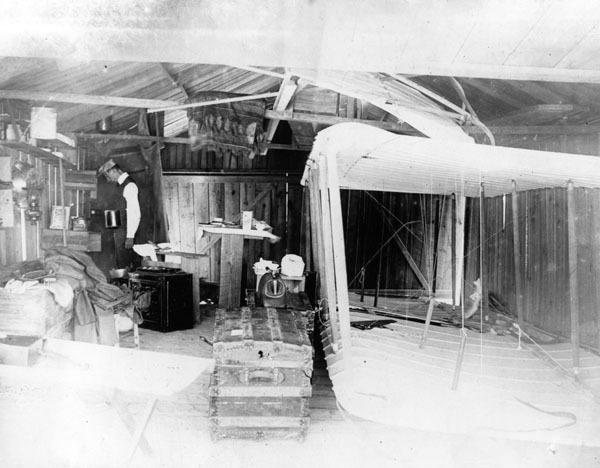 The plane’s wings were constructed of spruce and ash covered with muslin. The rest of the frame was metal, not at all surprising considering the Wrights were machinists, not woodworkers. After all, they designed and developed the Flyer in their Ohio bicycle shop. They favored coastal North Carolina for its windy dunes and because it was remote – competition for flight was intense and they didn’t want a lot of press at that point. My interest in the Flyer was centered on the woodworking tools and techniques that might have been employed. 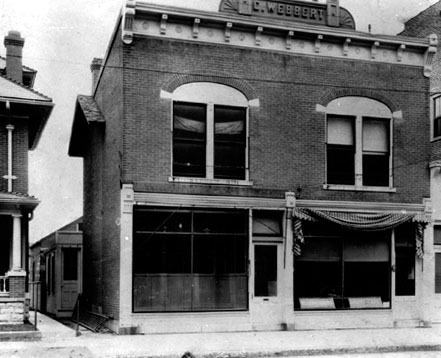 However, in researching the Wrights, their shop, and the Flyer, it became clear that the woodworking aspect of the plane’s construction was incidental at best. Obviously the focus (both then and now) was on the science – weight, power, aerodynamics, and control. Records of their workshop reveals it was sparse with relatively few tools, and those tools they had were mainly dedicated to metal work. 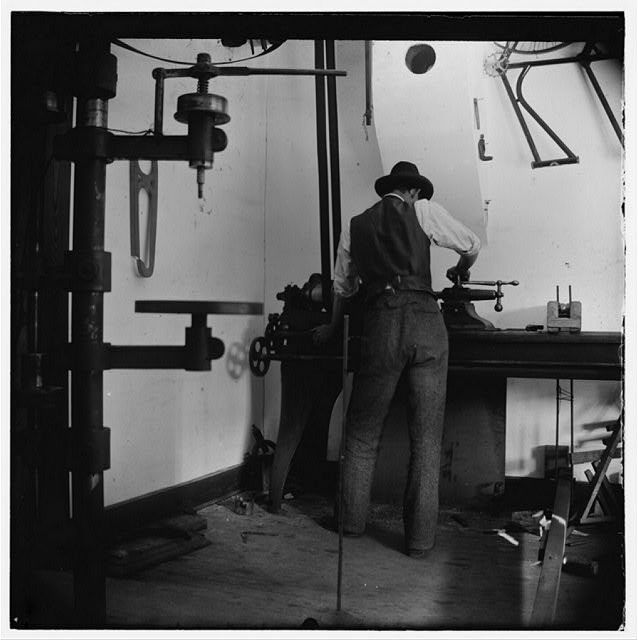 The bicycle shop had a 14″ Putnam Lathe, a 20″ Barnes drill press, and a 26″ Cresent bandsaw. References confirming this are attributed to a book, “Charles Taylor, Mechanician.” Taylor, of course, was the man who built the aluminum engine specifically for the Flyer. The propellers, wing struts, and wing framework were the only parts of the aircraft that were made of wood. Since the Flyer was designed to be portable, joinery was all temporary and removable, using clips and brackets that were fabricated of metal. In fact, it can be assumed that the decision to use of wooden components was probably based on practicality. 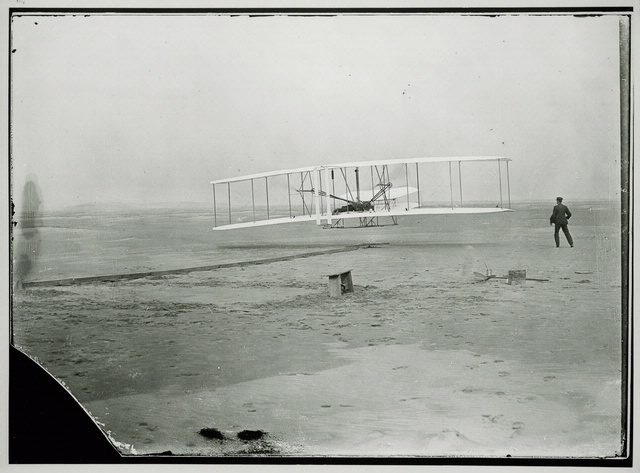 Orville and Wilbur wanted to keep the weight and cost down, and wooden parts were easy to replace if broken. Lightweight metals like aluminum, which was used for the engine, were still comparatively expensive at the turn of the century. Parts made of Spruce were strong, lightweight, and cheaply replaceable. While I could not find any direct reference to the woodworking tools and techniques employed to make the wooden parts of the plane, looking at detailed photos of the components provides some insight. With the exception of the propellers, which were hand carved, the rest of the parts were fairly simple and utilitarian in both design and execution. 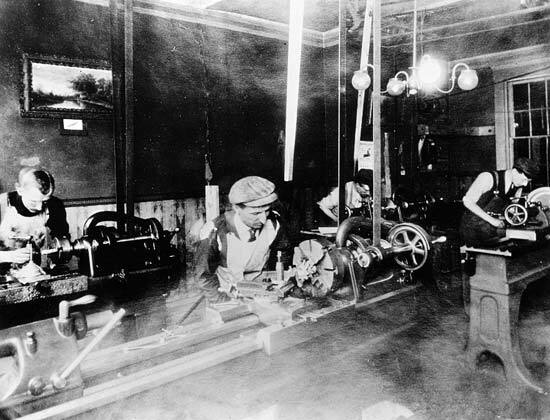 Also, given the fact that the Wright Bicycle Shop was a metalwork business, and the Wrights were cheap about their outlay for tools and equipment, it’s safe to assume that the wooden components were formed using the most basic of woodworking hand tools – Saws, planes, spokeshaves, and chisels. It turns out that, from a woodworking perspective, the most interesting component were the propellers. As mentioned, the propellers were carefully hand carved to achieve the greatest possible efficiency. The Wrights thought propeller design would be a simple matter and intended to adapt data from shipbuilding. However, their library research disclosed no established formulas for either marine or air propellers, and they found themselves with no sure starting point. They discussed and argued the question, sometimes heatedly, until they concluded that an aeronautical propeller is essentially a wing rotating in the vertical plane. On that basis, they used data from more wind tunnel tests to design their propellers. The finished blades were just over eight feet long, made of three laminations of glued spruce. The Wrights decided on twin “pusher” propellers (counter-rotating to cancel torque), which would act on a greater quantity of air than a single relatively slow propeller and not disturb airflow over the leading edge of the wings. Fortunately, the Wright Flyer was a far more impressive piece of engineering than it was an example of turn of the century woodwork. Call it a little vacation inspired curiosity, but I enjoyed exploring this important piece of history this week. If you’re lucky enough to visit the Outer Banks, I highly recommend a trip to the Wright Memorial National Park at Kill Devil Hills. 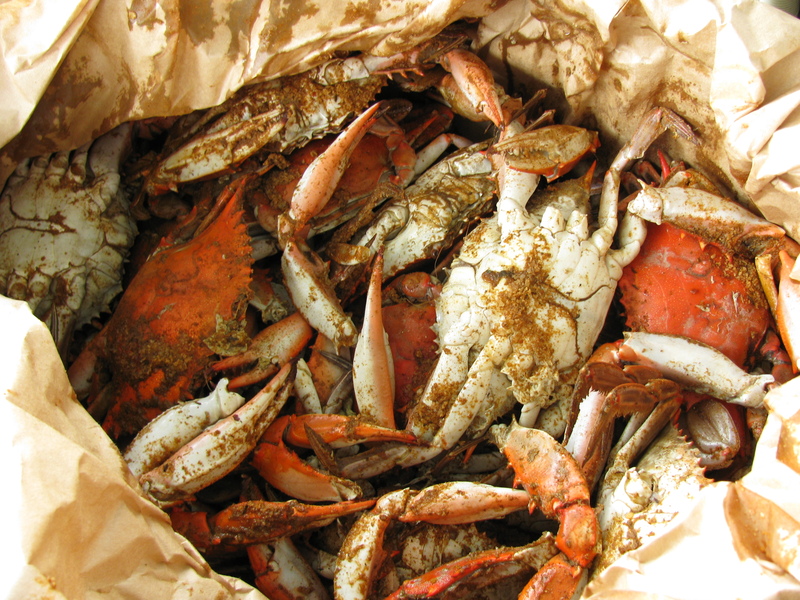 Following an afternoon at the park, make sure you drive down Collington Road to Billy’s Seafood, one of the area’s more recent national treasures. Best steamed crabs on the beach! Specification charts for Millers Falls planes have now been added to the site under the Tools menu. Included are charts for bench planes as well as block and specialty planes. These charts provide Stanley equivalents where applicable. There is also a bench plane conversion chart cross-referencing planes made by Stanley, Sargent, Millers Falls, and Record. I plan to have additional information available in the near future, including comprehensive information on both Millers Falls and Sargent. In the meantime, enjoy! Stanley Type Studies and More Now Posted! 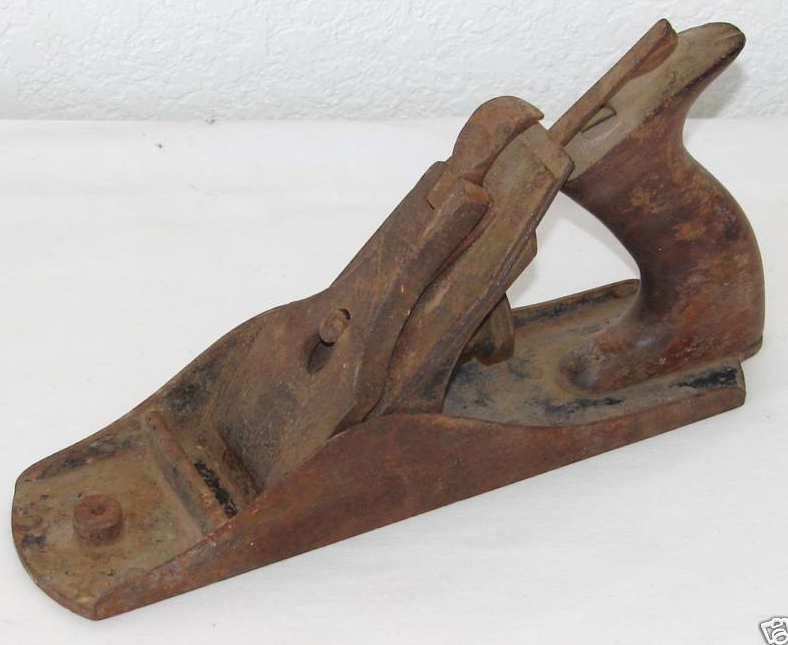 I’ve just about finished uploading the Bailey and Bed Rock type studies, specification charts, and block plane dating information to the site. There’s a wealth of information here, both summarized and broken down in detail by the major individual components. 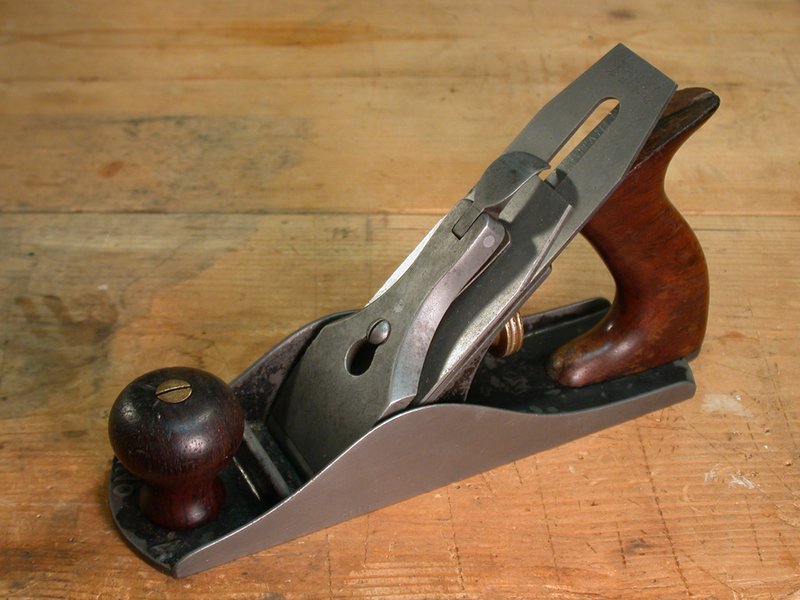 The Bailey and Bed Rock type studies are relatively easy to find elsewhere online, but you won’t find the specification charts or information on dating your block plane anywhere but here! Look for more information like this coming to the site over the next month or so, including specifications, conversion charts, and type studies for other models and manufacturers including Millers Falls, Sargent, and Record. By the way, if you’re new to collecting, don’t miss the post on understanding type studies. It takes some of the mystery out of the madness. Let’s be honest, Type Studies are confusing to a lot of people, especially those new to tool collecting. One reason for this is that by their very nature, Type Studies attempt to identify very specific points in time that correspond with transitions in the design and manufacturing process of tools made in the past. There are many problems with this. First and foremost, manufacturers never imagined that anyone in the future might care about tracking changes in the evolution of their designs. Subsequently, even veterans who know better sometimes lose sight of just how blurry those lines of delineation are along the historical manufacturing timeline. The first thing to clearly understand is that Type Studies are a present day construct. They were not a production guide used by manufacturers to identify, notate, or track changes in design. Stanley and their competitors didn’t follow Type Studies. Why, you ask? Because Type Studies didn’t exist at the time the tools were made. Did you get that? Type Studies are a present day guide. It was not until the 1970s and ’80s that people really started thinking about collecting vintage hand tools. And it’s only in the last 10 or 15 years, when woodworking with hand powered tools has enjoyed a resurgence, that vintage tool collecting has started to explode in popularity. 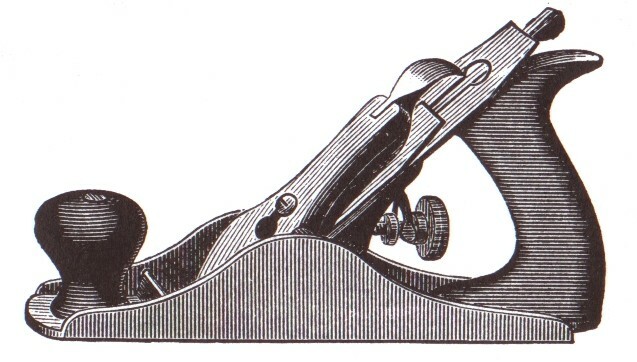 The big name hand tool aficionados (Roger Smith, Alvin Sellens, Clarence Blanchard, and others) conducted extensive research, pouring over company records and old catalogs and detailing the physical variations of thousands of tools in order to begin piecing together timelines for various models. 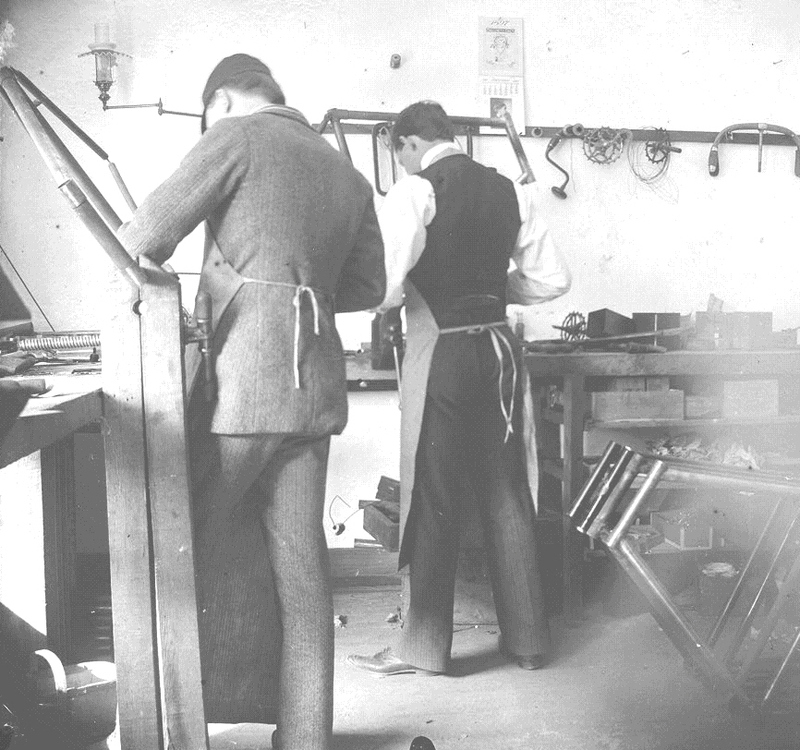 These timelines, delineated by significant and important changes in the design and manufacture of a tool are referred to as Type Studies. Different ‘Types’ within a Type Study refer to a defined period of manufacture in which a particular set of features was unique. That said, the change from one Type to another doesn’t mean the entire tool was redesigned. In fact, virtually all feature changes overlapped others, and a given feature or set of features might extend over several Types. 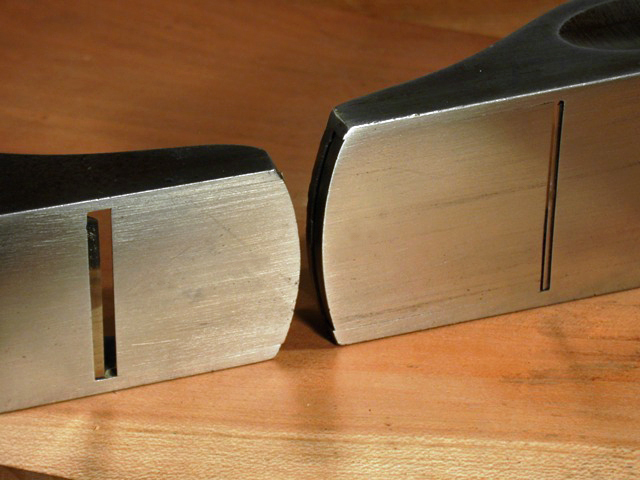 A good example can be illustrated with the lever caps used on Stanley’s Type 13-15 bench planes made between 1925 and 1932. While the same design cap was used on all three types, there were other feature changes that delineate the three different date ranges on the Type Study time-line.